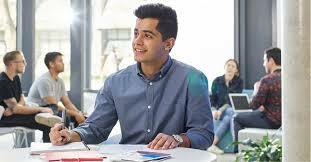 National Library of Australia Research Fellowship for International Students.. Research fellowships are available for Australians and international researchers. National Library of Australia is delighted to offering the fellowships to support researchers to make intensive use of the Library’s rich and varied collections over a sustained period of three months. Nine fellowships are available for 2020 across a variety of research areas where the Library’s collections have the appropriate depth and breadth to support the desired outcomes. Four fellowships for research on any subject and five are for particular fields of research. Located in Parkes, Canberra, The National Library of Australia (NLA) is the largest reference library in Australia. The Library’s collections of Australian have developed into the nation’s single most important resource of materials recording the Australian cultural heritage. 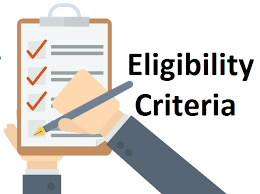 Eligible Countries: Australian and international citizens are eligible to apply for the fellowships. Eligible Course or Subjects: Fellowships are available for research on any subject. The applicants may be at any stage of their career but must demonstrate their capacity for high-quality research or equivalent scholarship, including a strong and relevant publication record, or equivalent record of professional outcomes and accomplishment, relative to opportunity. The Ph.D. candidates cannot apply for a Fellowship for research towards their doctoral thesis. The collections identified in the application must be specifically relevant to the project. Applications that do not demonstrate prior investigation as to how the Library’s collections will support the proposed research will not be considered. The fellowships are open only to individuals and not to research teams. When an individual is contributing to a larger collaborative project, the applicant must be able to demonstrate their own component of research at the Library. The applicants may be in receipt of funding from other sources but must provide the details and show how the Fellowship funding will relate to other sources of income for the project. Previous recipients of Fellowships at the National Library are not eligible to apply. The independent scholars, who are from Canberra or its surrounds, are eligible for funded Fellowships but they but will not receive accommodation or travel support. International applicants are eligible for this fellowship but they must be able to demonstrate why the collections at the National Library of Australia are important to their research. A CV that outlines major professional achievements. A list of publications or equivalent professional outcomes. Contact details of three referees. Ensure referees have a copy of your application, which you can download or print. Referees will be contacted by the Library after applications have been shortlisted. The fellowships are awarded worth up to AUD $1,000. The fellowship will provide accommodation support, capped at AUD $700 per week for 12 weeks. The fellowship will provide the travel support equivalent to one return domestic airfare to Canberra. International travel is capped at AUD $2,500. The eligible candidates can apply for the fellowships. They must provide supporting documents.